— Check out our picks for April 12-14, including the openings of two exhibits at the National Sporting Library & Museum, live concerts at Emmanuel Episcopal Church and Middleburg United Methodist Church, “The Absolute Brightness of Leonard Pelkey” at The Hill School, and more. This spring, NSLM melds art with science to create “NSLMology: The Science of Sporting Art,” an exhibition for explorers of all ages! Visitors are invited to experience scientific principles within three centuries of paintings, sculptures, works on paper, and hands-on activities. Get up close and personal with the physics of locomotion and identify meteorological patterns, ecology, the science of colors, and even chemistry. Middleburg Clean Up Day at Middleburg Community Center: April 13 | 8-10:30 a.m.
Come and join in this wonderful community get together to help clean up our town! Meet on the front steps of the Middleburg Community Center at 8 a.m. for a briefing and to pick up reflective vests and equipment. When you’re done cleaning up, head back to the community center for light snacks and drinks. Time Travel with Four Saxophones at Emmanuel Episcopal Church Parish House: April 14 | 3 p.m.
Take a musical journey through the history of the saxophone as Shenandoah Conservatory Saxophone Professor Timothy Roberts and students from the conservatory’s sax studio perform a repertoire that spans four centuries. The concert takes place as part of the “At the Parish House” performance series of Middleburg’s Emmanuel Church. A search of “Shenandoah Conservatory saxophone” on YouTube gives a sampling of the brilliant talent that’s coming to this event. Reservations are recommended but not required (540-687-6297). A donation of $10 is suggested but not required; all are welcome. “The Absolute Brightness of Leonard Pelkey” at The Hill School: April 13 | 8-10 p.m.
Join us at The Hill School for “The Absolute Brightness of Leonard Pelkey,” a one-of-a-kind theatrical event! Brought to Middleburg by Ken Dreyfuss, Teresa Wheeler & A Place To Be. Winner of the Outer Critics Circle & Off Broadway Alliance Awards for Outstanding Solo Performance. Written and performed by James Lecesne, directed by Tony Speciale, with original music by Duncan Sheik. When 14-year-old Leonard Pelkey mysteriously disappears from a small, New Jersey shore town, the secrets of the townspeople are brought to light, and everyone is forced to examine the effect of one boy’s life on a fractured community. Adapted from Lecesne’s novel of the same name, this 70-minute solo show begins with the discovery of Leonard’s disappearance and follows the criminal investigation to its startling conclusion. A luminous force of nature whose magic is only truly felt once he’s gone, Leonard Pelkey becomes the unexpected inspiration for a town as they question how we live, who we love and what we leave behind. Van Buren Winds Concert at Middleburg United Methodist Church: April 14 | 4-5:30 p.m. The Middleburg Concert Series’ first concert of 2019 will feature the Van Buren Winds, Shenandoah Conservatory’s faculty ensemble, performing works for wind instruments (oboe, horn, clarinet and bassoon) accompanied by piano. The artists are each masters of their particular instrument, and together they are acclaimed for their enchanting and lively chamber works. The concert takes place at the beautiful, historic Middleburg United Methodist Church. The performance will be followed by a reception to meet the artists. Tickets are $20 (free for students and youths under 18) and can be purchased at the door or in advance at eventbrite.com. Vice Effect Release at Old Ox Brewery: April 12 | 2:30-10 p.m. Happy Hour at Zest: April 12 | 3-6 p.m.
“Deconstructed” Opening at the National Sporting Library & Museum: April 12 | 6-8 p.m.
“Coffee with the Curator: Deconstructed” at the National Sporting Library & Museum: April 13 | 10-11:30 a.m.
Gretchen Scott Trunk Show at Zest: April 13 | 10 a.m.-6 p.m.
Pictures with the Easter Bunny at Gentle Harvest: April 13 | 11 a.m.-2 p.m.
Parkour aka Urban Agility at Tri-County Feeds, Fashions, Finds: April 13 | 1-2 p.m. 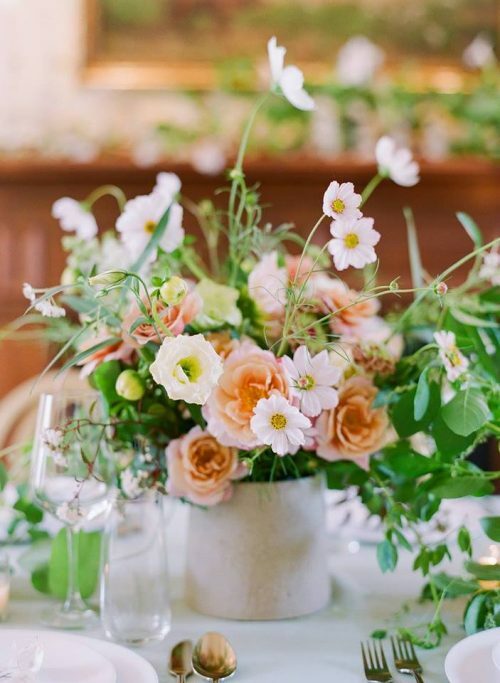 Flower Arranging 101 with Wollam Gardens at Tri-County Feeds, Fashions, Finds: April 13 | 1-3 p.m.
Live Music at Cana Vineyards: April 13 & 14 | 1-5 p.m.
Ballroom Dance Class at Salamander Resort & Spa: April 13 | 5:30 p.m.
Beer and Art: Building New York City at Old Ox Brewery: April 13 | 6:30-7:30 p.m.
Art & Jazz Event Benefiting Middleburg Humane Foundation: April 14 | 1-4 p.m.
“Paint Nite: Rain’s Falling, Wine’s Calling” at Three Fox Vineyards: April 14 | 2-4 p.m.
Spring Wine Tasting at Girasole: April 14 | 3-5 p.m. 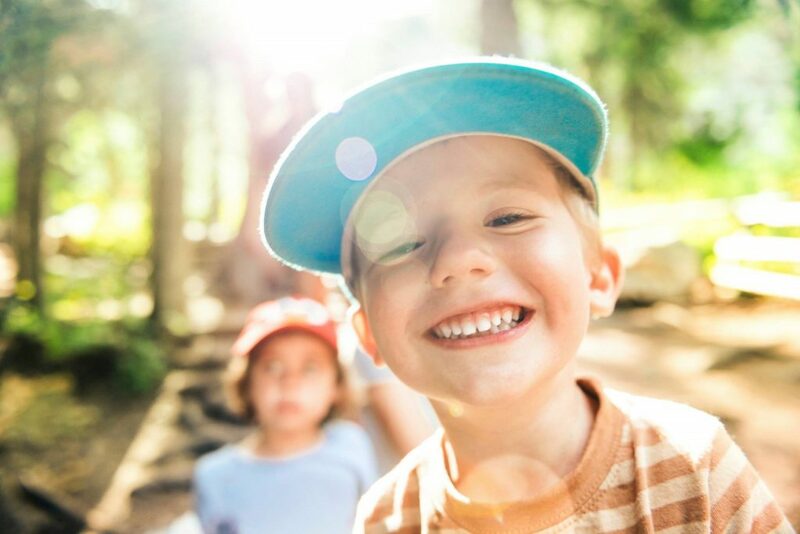 Celebrate Spring Break at Camp Salamander! Every day has a new, fun and unique theme with lunch served daily. “Concert on the Steps” at the Middleburg Community Center: April 19 | 5:30-7:30 p.m. 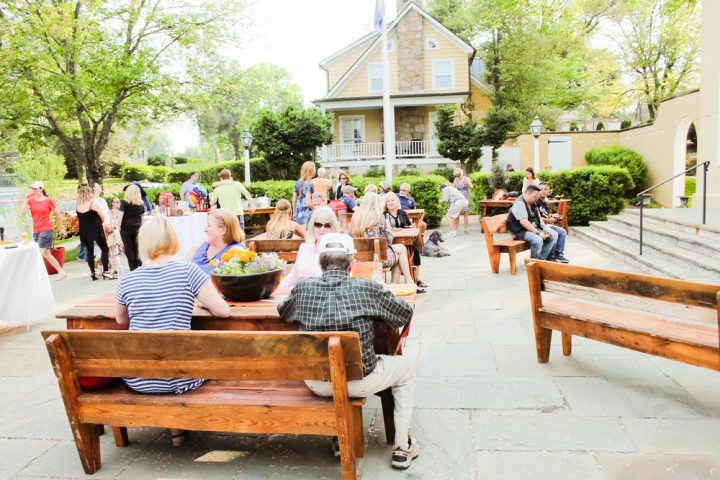 The Middleburg Spring Races have become the quintessential event to welcome spring to Virginia, synonymous with the blooming of the daffodils and dogwoods. 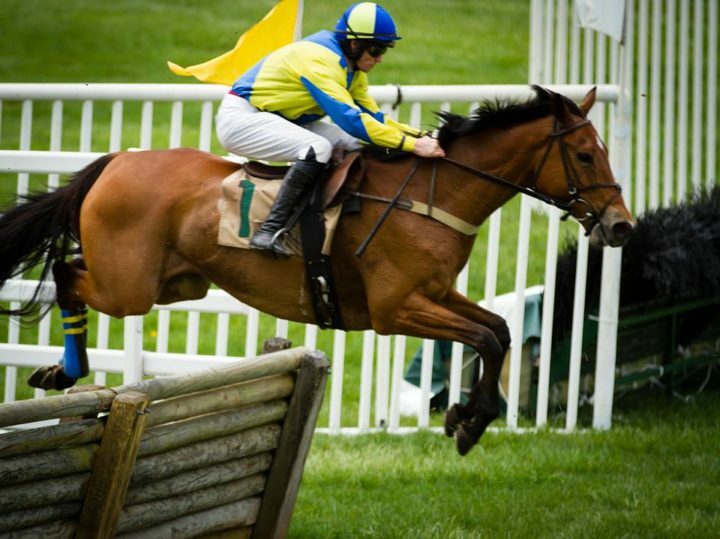 Thousands come to see some of the nation’s most athletic thoroughbreds compete at high speeds over hedges and timber. The prestige of $190,000 in purse money brings the finest horses together for seven thrilling races. The Spring Races benefit Inova Loudoun Hospital, Glenwood Park Trust and local charities. Easter Sweets & Treats Cooking Class at Salamander Resort & Spa: April 20 | 2-4 p.m. Hop on over and join Executive Pastry Chef Jason Reaves to learn how to bake and decorate Easter-themed sweets and cookies in your favorite holiday shapes. $79 per person. Reservations required; please call 540-326-4070. Adult Easter Egg Hunt at Greenhill Winery & Vineyards: April 20 | 2-4 p.m. Hosted at Greenhill’s historic club house, the Adult Easter Egg Hunt will take place at 2 p.m. sharp. Purchase tickets to hunt for a variety of prizes. Over 200 Eggs with prizes varying from candy, free glasses of wine, merchandise, to a golden egg prize and more! Ticket price includes 1 mimosa and access to Greenhill’s exclusive club house for the day. Easter Brunch at The Red Fox Inn & Tavern: April 21 | 11 a.m.-3 p.m. Enjoy Easter brunch at The Red Fox! They’re serving a three-course Champagne brunch, featuring items including Virginia peanut soup, smoked duck hash and dark chocolate torte. Cost: $48 per person, $15 children under 10. Details and menu: redfox.com/easter. Easter Family-Style Dinner at Harrimans Virginia Piedmont Grill: April 21 | 3-7 p.m.
Join Harrimans Virginia Piedmont Grill for a festive family-style feast with springtime favorites for a special Easter dinner. Served for sharing, enjoy time with your loved ones over a delicious dinner while taking in the sweeping views of the Virginia countryside, and visits from the Easter bunny himself. Maker Monday at Middleburg Library: April 15 | 4-5 p.m. Teacher Tuesdays at Hunter’s Head Tavern: April 16 | 11 a.m.-9:30 p.m.
Tech on Tap: Virginia’s Smart Cities at Old Ox Brewery: April 16 | 6:30-7:30 p.m.
DMV 2 GO in Middleburg: April 17 | 9 a.m.-3 p.m.
Gallery Talk at the National Sporting Library & Museum: April 17 | 2-3 p.m.
Farm and Vine Dinner at Goodstone Inn & Restaurant: April 17 | 6:30-9:30 p.m.
Poetry Potpourri at Middleburg Library: April 17 | 7-9 p.m.
Upper School Campus Experience-Admissions Event at Wakefield School: April 18 | 3-5 p.m.
Nutrena Nutrition Consultation at Tri-County Feeds, Fashions, Finds: April 19 | 10 a.m.-3 p.m. Happy Hour at Zest: April 19 | 3-6 p.m.
Hoppy Honey Release at Old Ox Brewery: April 20 | 11 a.m.-10 p.m.
Easter Egg Dying Class at Market Salamander: April 20 | 1-2:30 p.m.
Easter Chocolate Liqueur Hunt at Salamander Resort & Spa: April 20 | 6-7 p.m. Comedy Show at Old Ox Brewery: April 20 | 7-9 p.m.
Glow in the Dark Easter Egg Hunt at Salamander Resort & Spa: April 20 | 8-9 p.m.
Easter Sunday Brunch & Egg Hunt at Salamander Resort & Spa: April 21 | 9 a.m.-4 p.m.
Easter Sunday Buffet at Market Salamander: April 21 | 10 a.m.-2 p.m.
Easter Dinner at Girasole: April 21 | Noon-4:30 p.m.